TGIF. Here it is, Round 8 of my 5 Friday Faves. (Round 8? I must like a lot of stuff in this world). Enjoy! 1. 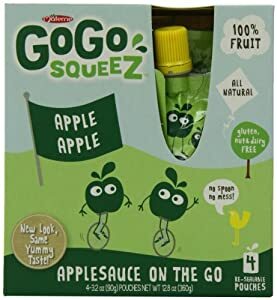 Smoothies (that's what we call those genius squeezable fruit and veggie pouches, such as Mash-ups, Gerber Grabbers, and GoGo Squeez Applesauce). How on earth did we live without these before they hit the shelves a few years back? Both of my kids (ages 3.5 and 1.5) LOVE them. They are perfect for throwing in my purse or car for a quick burst of energy when the kids are entering that [frightening] low sugar fussy, meltdown state. Sure, they may not top eating an actual apple or banana, but for convenience and picky-eaters, these can't be beat. 2. Little Board Book Sets: These miniature board books are great for travel, throwing in a diaper bag, keeping in your car, etc. The kids can also stack them like blocks, chew on them (of course), and hide-and-seek them. They are cute and fun and somehow the kids rarely tire of them. 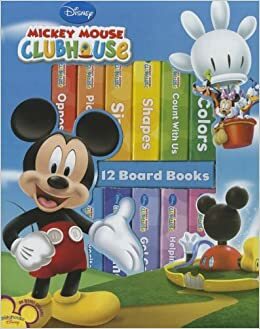 (Both of my kids like this Mickey set; you can get it for around $12 on Amazon). 3. 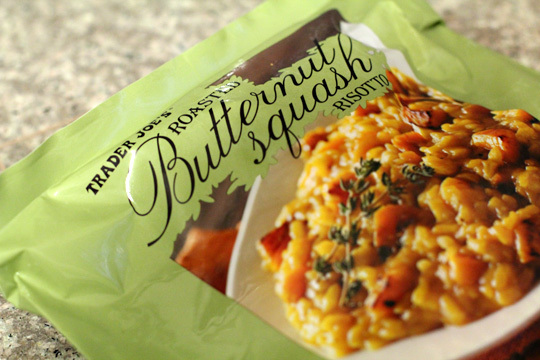 Trader Joe's Butternut Squash Risotto: Yummy, yummy, yummy, yum-ay! (to be sung in the tune of "money money money mon-ay!). Such a perfect side dish for so many things. And I ate some of the leftovers for breakfast the other day. Your kids might not eat it (mine didn't), but if you like squash, you'll love it. 4. 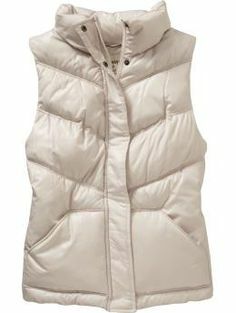 White puffer vest. I bought one of these from J. Crew several years ago (you know, pre-kids, when I used to go shopping somewhere other than Target and the grocery store), and I still wear it to bridge the gap between winter and spring, and then again between fall and winter. You can find them at just about any price point if you do a quick online search. I've thrown mine in the washer many a time because of the occasional spillage of #1 (see above) and it has escaped relatively unscathed. 5. Modern Family. I've mentioned this show before; I just love it. Currently, Cam and Phil are my favorites. Then again I also like Manny, and well, okay I like all of the characters. Even Gloria, as ridiculously perfect as she is, manages to be hilarious and likable. The show can be liked by women and men (even my conservative, ol' FranticMamaHubby laughs throughout entire episodes). If you haven't seen it, start from Season 1. You are in for a treat. (Pssst! USA plays re-runs several night a week).